Ernie and Ellen...what better way to spend the afternoon? 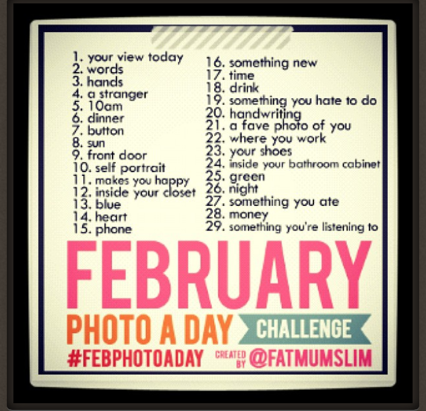 Are you doing the photo a day challenge?! you are so stinkin' cute! do you have instagram and we are not friends on there?! cute! would it be bad if i started on day one and just did a month out from here?! lol. A cloud tradeshow?! What do you do? And cute self portrait! :) Loving the blue sky, Ernie and that is my favorite B&J FROYO!!! yes, i love it! it's so fun. i'll be posting mine at the end of the month....but i like that you're doing half and half. I started it but realized it was a pipe dream for me when on day 8 I realized I had only done day 2, 3 and 6. I think it's a really fun idea though, maybe I can get it together for March :) Love your "words" and your "stranger"! If they do a march one, I'll probably do it! I love seeing everyone's pics!!!! I wish I wouldve done the challenge! Love all your pics. and your name???? 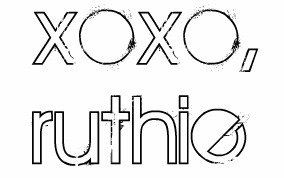 LOVE the name ruthie. You get that alot dont you??? Awesome recap all in one friend! Happy hump day! You must be super pumped that your handsome hubby joins you in CA tonight! Okay, that long skinny string bean of a man cracked me up! I am seriously diggin his outfit! Day 14 could have worked for day 15 - taking a photo of your phone! I really wish I had an Iphone, Instagram is SO much better that the Streamzoo that I have for my android. But, I hear Instagram is converting to android - I hope it's soon! P.S.-I didn't know Ben and Jerry's had fro yo. I know what I'm getting at the grocery store tomorrow! !